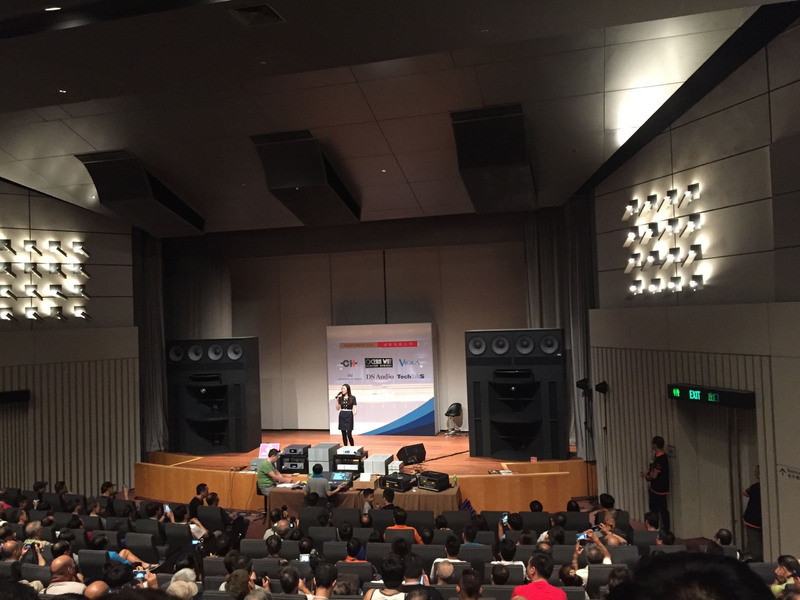 The Ocean Way Audio OWA-HR1 demo at the 2015 Hong Kong High-End Audio Visual Show. BURBANK, CA, August 25, 2015 — Ocean Way Audio (OWA), a leading manufacturer of high-bandwidth reference monitors for the audiophile and professional audio market sectors, recently had a strong showing at the 2015 Hong Kong High-End Audio Visual Show. OWA, distributed by Forthwise LTD in China, was showcased alongside exhibitors from all over the globe displaying their world-class equipment and technology. The main event was held in the venue’s Theatre 2 stage, featuring the Ocean Way Audio HR1 “No Limits” speaker systems. “Show organizers and audiophiles were stunned by the appearance and amazing sound quality of HR1, newly upgraded to 18" subs,” stated Ernie Woody, Ocean Way Audio Director of Production & Operations. “This is the second pair sold into the China market at a price of one-half million dollars, with amps and electronic components bringing the system total to $800,000 USD.” The HR1 is the flagship model in Ocean Way Audio’s range of high-resolution reference loudspeakers that offer extraordinary fidelity and musical accuracy with a distortion-free dynamic range. Like all Ocean Way Audio monitors, the speakers’ smooth on- and off-axis dispersion allows listeners to move around the room and hear the same natural, open sound and accurate imaging in any listening location. OWA Montecito speakers were also shown alongside Mr. NishikawaAirforce One turntable uniquely designed with air coupling for stunning sonic quality. The Montecito’s were chosen to demonstrate unmatched dynamic range. Photo Caption: The Ocean Way Audio OWA-HR1 demo at the 2015 Hong Kong High-End Audio Visual Show.